Jean Marie Bollis, 87, of Meadville died Tuesday, October 30, 2018 at Meadville Medical Center. She was born December 30, 1930 in Meadville a daughter of Henry T. and Virginia M. Elmen Johnson. She married Wilbur F. Bollis August 22, 1953 at St. Hippolyte Church in Frenchtown and he survives. She was a 1950 graduate of Meadville High School and worked for the former Hillside Home, the Meadville Telephone Company and at several grocery stores in Meadville. She was a member of Elks Lodge #219 Ladies Auxiliary, the VFW Post #2006 Ladies Auxiliary and the Kismet Grottoettes. 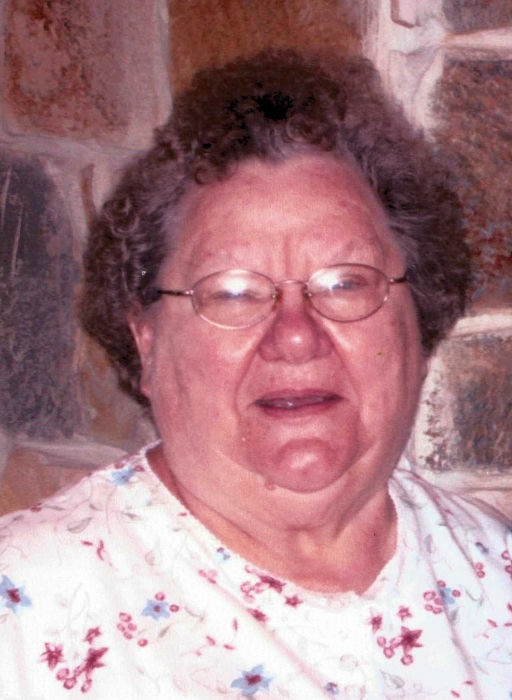 She enjoyed golf, bowling, camping, fishing, cooking and was known as a ruthless card player. Survivors, in addition to her husband Wilbur of 65 years, include: two sons, Daniel Bollis (Pamela) of Meadville and David Bollis (Teresa) of Dallastown; four grandchildren, Joseph Bollis (Rhiannon) of San Antonio, TX, Staci Swab (Perry) of Cambridge Springs, Virginia Clegg (Jeremy) of Dallastown and Alex Bollis (Lindsey) serving in the US Air Force in S. Korea; three great grandchildren, Caleb and Abigail Swab and Hawleigh Bollis; two sisters, Elizabeth (Biz) Conrad of Moore Haven, FL and Mary Kathryn (Kate) Johnston (Jim) of Meadville and nieces and nephews. In addition to her parents, she was preceded in death by a brother, Ronald T. Johnson. Calling hours will be Thursday, November 1st from 4-8 p.m. at the Robert W. Waid Funeral Home, Inc., 581 Chestnut Street, Meadville. The funeral service will be Friday, November 2nd at 11 a.m. at the funeral home with Fr. Daniel Prez, Pastor of St. Hippolyte Church, officiating. In lieu of flowers, the family suggests memorials be made to Shriners Hospital for Children, 1645 West 8th Street, Erie, PA 16505.